« Join us at Virginia March For Life! 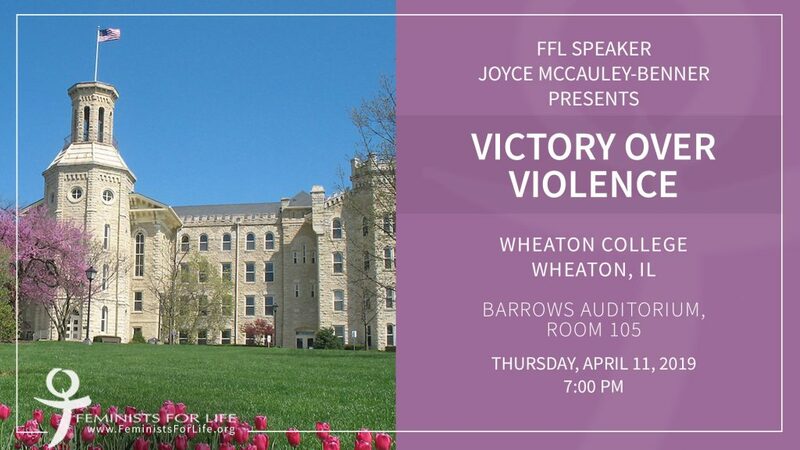 FFL Speaker Joyce McCauley-Benner will share her story of “Victory Over Violence” at Wheaton College on Thursday, April 11 at 7 PM. The event will be held in Barrows Auditorium, Room 105.